And cue a Nintendo lawsuit in 3.. 2.. 1..
Why would Nintendo care at all about this? And how does it infringe on their properties? Stop trolling. In other words it’s not a Wavebird controller at all, except for the housing. Oh look, here’s a hater to complain about something they’re personally incapable of. Just because a simple factual statement isn’t oozing with flattery doesn’t make it hateful. 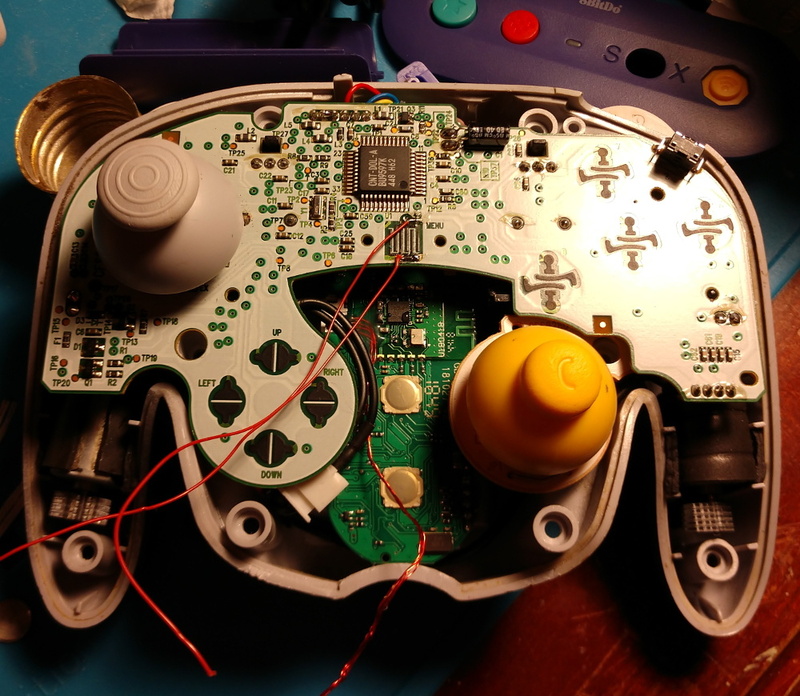 I see no prima facie evidence of complaint/denigration in [Greg Eshelman]’s declaration, nor do I think it’s logical to assume from it he is incapable of building modified game controllers. You might be right, but you risk being the “hater” yourself if you misread his intentions. No, he’s right. There absolutely no reason to use the rarer, more expensive Wavebird in this hack. Could have just put the wireless adapter in the original Gamecube controller and skipped a step. How? Where would the extra electronics go? Going rate for a “parts only” Wavebird on eBay seems to be about $15 USD, so not exactly like raiding the Smithsonian to get a donor case for this project. Does it’s original function (wireless GameCube) remain? If not would it be possible to toggle from one to the other using a physical switch (elec component not console. Looks like it doesn’t. I have two wavebirds so I might sacrifice one.